supports, shelves and many more. able to handle various sizes of different materials. back support unit, tape applicator etc. The Lamina FA Blackline is a highly accurate high speed sheet to sheet fully automatic laminating/mounting machine. The machine can handle most of the existing material in the market. The compact construction makes the machine operator friendly with a very short set-up time. The modular construction allows easy upgrading and the anodised finish result in a hard wearing surface that stays attractive for years. The Lamina Glueline is a fully automatic non-stop gluing and folding machine for one piece or two piece boxes. using Laminas registration system and non-stop feeder, the machine is extremely effective for two piece boxes. and final finishing. The Glueline is built in modules that can be separated for full access during set-up and offers a choice of units depending on requirements. or three-point glued crash lock boxes. small quantities, maintaining a high quality. The machine is a perfect solution to go from manual to automatic gluing operations for a low investment. Lamina Glueline is a fully automatic non-stop gluing and folding machine for one piece or two piece boxes and displays. operations for a low investment. 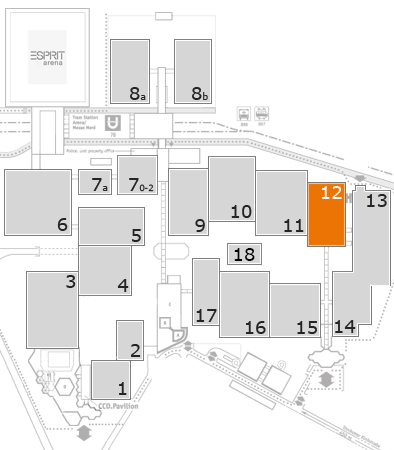 Visit us in our stand: Hall 12 /A23 for more info.